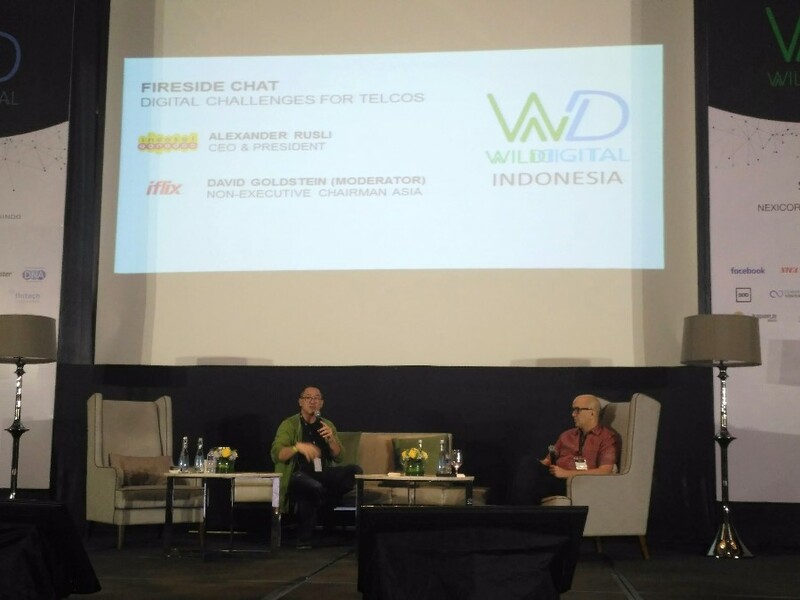 At Wild Digital event on Thursday, (11/16), former CEO & President of Indosat Ooredoo Alexander (Alex) Rusli discussed today’s and future’s issues regarding telecommunication companies. “Since took part as CEO of Indosat Ooredoo, my three main focuses are: technology reconstruction, talent investment, go digital and focus on technology,” Rusli said. During Rusli’s tenure, Indosat Ooredoo had created several partnerships on digital features, including Cipika Play, Cipika Books, Dompetku, and others. However, all Indosat digital products, except for IMX, are shut down in 2017. Indosat decided to “back to basic” by becoming a telecom operator. “Nearly 99% of Indosat Ooredoo customers are using prepaid. Revenue comes from 80% of regular business and only 20% from digital,” Rusli said. For several operator’s shortcomings , such as unsavvy management of big data, with the right partnership they claimed to be able to produce fine goods savored by customers. “Our successful partnerships are with Facebook and Iflix. The global partnership is deliberately done due to the availability of our existing product, rather than starting from the scratch,” Rusli added. However, only a few of global companies are willing to customize their technology with Indosat Ooredoo. Iflix alone is willing to make adjustments, while Spotify is unwilling to make changes. “My suggestion for local to foreign companies expecting partnership with telecommunication operators is to be able to adjust and willing to make changes,” Rusli said. Mentioning the increasing number of operators which having difficulties in developing business nowadays, Rusli said regarding the difficulties, it’s not only happened with Indonesia’s telecommunication operators but as well in other countries. “I see the future of telecom operator company should be able in pivoting and trying new stuff, while convincing the ecosystem,” Alex said.